November 2011 | MMA Fighting Events Videos Techniques UFC Fight Picks and News. The Ultimate Fighter 14 comes to a close Saturday December 3 at The Pearl in Las Vegas, Nevada. Team Bisping and Team Team Miller coaches, Michael Bisping and Jason "Mayhem" Miller will step into the UFC octagon to settle The Ultimate Fighter 14 season drama. Michael Bisping is coming into this fight off of three straight wins and is looking to make his way into UFC Middleweight title contender status. He hasn't exactly been a fan favorite and has built a reputation for being a boring fighter. Three out of Michael Bisping's last 4 fights have gone to decision, but he is coming off a big TKO win where he put out Jorge Rivera in the second round. Bisping not only needs a win, he needs a fan pleasing win. An exciting win will propel Bisping into the conversation when it comes to UFC Middleweight contenders. Jason "Mayhem" Miller is coming off of two straight wins and has the personality the UFC needs for fight promotion and marketing. If Miller can get a win, he will extend his stay in the UFC and possibly make a run in the UFC Middleweight division. Check out the fight video of Jason Miller's last win where he submitted MMA legend Kazushi Sakuraba at the MMA event Dream 16. A couple of weeks ago I wrote an article about the MMA event, Tachi Palace Fights 11. At the time I mentioned how the fight card had been riddled with injuries and shaken up. Replacements where found and the card was reset. Weirdly enough, since I wrote that article on Tachi Palace Fights 11, more injuries have stricken the fight card. Ian McCall is out of the fight with Josh Rave. No replacement has been named as of yet. Rob Emerson is out of the fight with Savant Young, but Robert Washington who is coming off of two straight wins has stepped in. Here's what Savant Young posted on his Facebook: "We are on the 4th opponent now. I have had a stressful time with trying to make my comeback, but it is almost here. I will fight with everything I have to represent my Fight Academy Pasadena and Body Shop Fitness family…… Black On Black Crime In Full Effect!" You gotta love a fighter like Savant Young that is willing to fight whoever is put in front of him. Check out a video we shot last week of Savant Young training for Tachi Palace Fights 11. The show has done what it's had to do, they've found willing MMA fighters to step in and the show will go on! 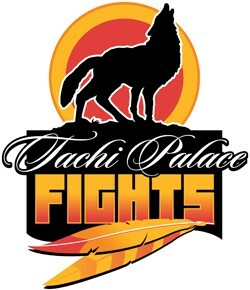 Here is the Tachi Palace Fights 11 updated fight card for December 2nd. When is the Shogun vs Hendeson Rematch? When is the rematch with Mauricio "Shogun" Rua vs. Dan "Hendo" Henderson? You've all probably seen their UFC fight by now. If so, you have also witness one of the most, if not the most spectacular showcase of MMA competition ever, in or out of the UFC! This wasn't just a great fight, it was a great fight between two legends in MMA at the highest level of MMA. It was a cold night, but the MMA (Mixed Martial Arts) fighters heated things up at Cage vs Cons 2 in Pico Rivera. The fight action was fast and ferocious with five fights finishing in the first round. The MMA fighters at Cage vs Cons 2 were hunting for wins, and they definitely pleased the crowd with their efforts. Michael Lynch and the rest of the folks behind Cage vs Cons did a great job picking out fighters that would put out exciting fights. 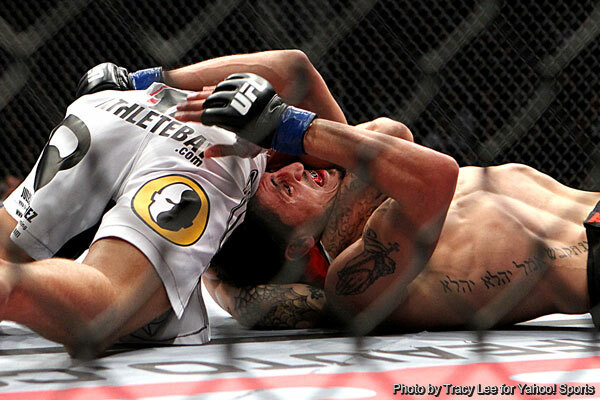 Here's a recap and results of all of the night's MMA action. Wednesday night Novemeber 11th, 2011, I was representing Chingasos MMA at The Vault MMA & Fitness Center. I went there to check out their training. 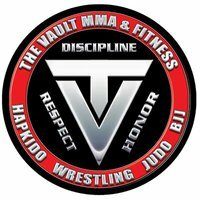 The Vault MMA & Fitness Center is located at 109 W. Colorado, Monrovia, CA. The UFC (Ultimate Fighting Championship) will make its debut in San Jose, California this Saturday November 19th. UFC 139 Shogun vs. Henderson is stacked with six former champions. MMA (Mixed Martial Arts) fans are excited as this fight card has several interesting match ups. On December 2nd, MMA (Mixed Martial Arts) fight action will be going down live at the Tachi Palace Hotel and Casino in Lemoore, California. The fight card for Tachi Palace Fights 11 "Redempiton" has been shaken up a bit due to several fighters being injured, but the promotion pulled some strings and they have a nice fight card set up. If you're in the Los Angeles area and you're looking to catch some MMA action and maybe do some gambling, set up a road trip and check this MMA event out. 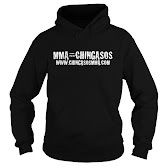 Watching this event, UFC on Fox - Velasquez v Dos Santos, made me think about the importance of the ground game. Royce Gracie proved how important submission grappling really is in mixed martial arts. He proved it, that is, to everyone that is not stuck in the past. What can I say? If you still listen to an 8-track, then you probably think that boxing is the only way to fight. This Saturday, November 12th, the UFC (Ultimate Fighting Championship) brings the major leagues of MMA to network television. The UFC didn't hold back on this event as the main card will be featuring undefeated UFC Heavyweight Champion Cain Velasquez defending his title against number one challenger Junior Dos Santos. 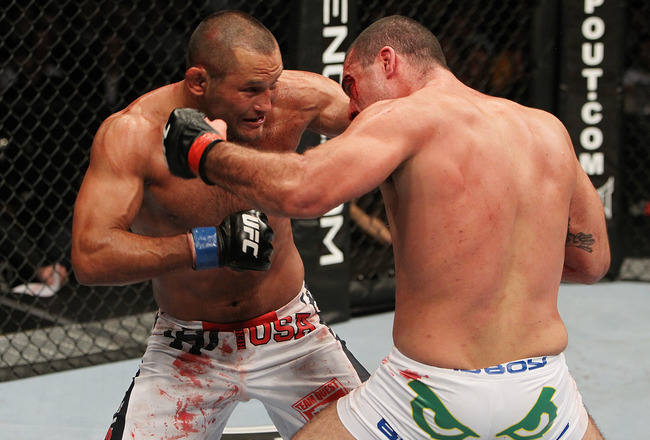 Check out a quick video preview of the Cain Velasquez vs Junior Dos Santos fight we put together. Hope you enjoyed our Cain Velasquez vs Junior Dos Santos preview video. We like to throw in some high jinks, tomfoolery, and chingaderas just to keep it moving, but the stats of the fighters are real, and my pick is serious. I'll go a little further on my pick. I'll take Cain Velasquez to win via ground and pound in the third round. I'm picking Velasquez to win, and so are other MMA experts, but remember that these fighters fight with 4 oz. gloves and Dos Santos has excellent boxing. If Velasquez makes a mistake in his strategy and Dos Santos can keep the fight standing long enough to land one of his heavy blows, he might be able to pull off an upset. 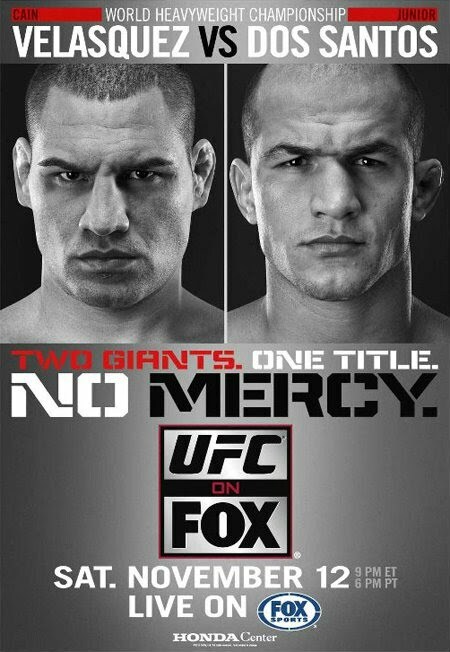 While Cain Velasquez vs Junior Dos Santos is the main event at this UFC event, don't sleep on the prelims. The UFC has matched up two fan favorites, Clay Guida and Ben Henderson to hopefully put on MMA fireworks! Here's the complete fight card for UFC on Fox. Many MMA and UFC fans were a little disappointed when the fight card for UFC 138 was announced. But, when the dust finally settled and the main event results were in, many MMA fans will consider Munoz vs Leben for MMA fight of the year. Munoz vs Leben was an excellent showcase of wrestling mixed in with power punching. The fight gruelingly went back and forth with both fighters having their moments. Unfortunately for Leben, Munoz came into this fight with better wrestling and the more powerful punches. While Leben was able to to match Munoz in the first round, Munoz superior wrestling ability wore Leben down. Leben took some hard punches to his left eye area. The ref asked if he could see and wanted to continue and Leben bravely came out to face Munoz in the second round. In the second round, Munoz clearly began to take over the fight with his wrestling, conditioning and power punching. Leben put up a good fight mixing in power punching of his own, but the damage Munoz put on his eye was too much. Leben had a large visible cut above his eye and couldn't see between rounds which prompted the fight to be stopped before starting round. The stoppage gave Munoz a TKO victory and propells him to the front of the line for a title shot at 185 lbs. Here are the full results for UFC 138. Mark Munoz defeated Chris Leben via TKO (corner’s stoppage) after round 2. Renan Barao defeated Brad Pickett via rear naked choke submission in round 1. Thiago Alves defeated Papy Abedi via rear naked choke submission in round 1. Anthony Perosh defeated Cyrille Diabate via rear naked choke submission in round 2. Terry Etim defeated Edward Faaloloto via guillotine choke submission in round 1. John Maguire defeated Justin Edwards via unanimous decision. Philip De Fries defeated Rob Broughton via unanimous decision. Michihiro Omigawa defeated Jason Young via unanimous decision. 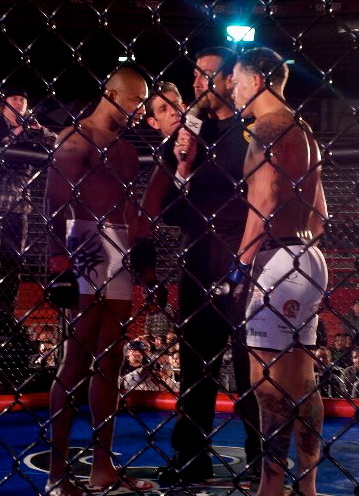 Che Mills defeated Chris Cope via TKO (knee) in round 1. Chris Cariaso defeated Vaughan Lee via split decision. This Saturday (November 5, 2011), the Ultimate Fighting Championship (UFC) takes the major leagues of MMA over to England. UFC 138 will go down at the LG Arena at the National Exhibition Center in Birmingham. While MMA fans aren't that impressed with the UFC 138 fight card, the main even featuring Chris Leben versus Mark Munoz should be exciting! The winner of the main event, at UFC 138, should jump to the front of the line for a title shot in the UFC 185 lbs division. Both Chris Leben and Mark Munoz have been lingering in the division and a big win in a main event should propel them into a title shot. 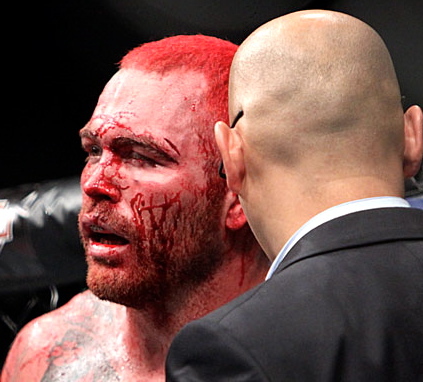 Chris Leben is coming into UFC 138 off a big KO in his last fight. He knocked out MMA legend Wanderlei Silva in the first round at UFC 132. Leben is 4-1 in his last five fights in the UFC, he has heavy hands and is a KO threat every time he steps in the UFC cage. If he can keep the fight standing, he can pull this fight out. Mark Munoz is coming off a grueling decision win over Demian Maia at UFC 131. He's 6-1 in his last 7 fights and has won three in a row. Munoz has a strong wrestling background, and he uses effectively either to grind out wins, or to set up his power punching. He's finished 6 of his 11 wins via TKO or KO, with his power punches. UFC 138 will be making history by making Leben vs Munoz the first five round non-title MMA fight. The LG Arena has also made history of its own. 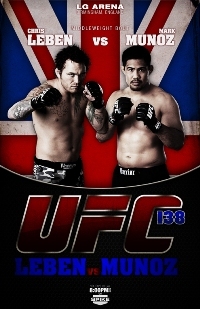 British MMA fans have helped break it's revenue record by purchasing tickets to UFC 138. Check out a UFC video featuring a little background on Mark Munoz. When it comes down to MMA workouts, specific exercises and training methods, having the best products and equipment will make a huge difference. 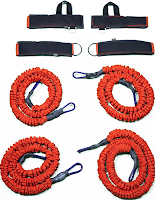 Stroops is an exercise equipment company that makes some of the best equipment for MMA workouts and training. Stroops MMA workout products are used to train and develop speed, agility, power, explosiveness, strength, flexibility, and endurance. Top MMA athletes already know the benefit of these products. If you're a gym owner or MMA athlete, you should take a look at the Stroops catalog and seriously think about implementing their exercise equipment and products into your MMA workout programs and training sessions. Here's a video of MMA fighter Vitor Belfort training and getting a workout in the Stroops striker suit. Check out MMA fighter Sam Stout using a piece of Stroops training equipment to workout. This video is Mark Hominick using another piece of Stroops equipment known as the Double Gun while getting in a workout with famous MMA coach Shawn Tompkins. As you can see Stroops MMA workouts products can add a different dimension to your MMA training session. Check them out and be ahead of the curve when it comes down to getting MMA ready by developing speed, agility, power, explosiveness, strength, flexibility, and endurance.